We care for your business. Mālama (pronounced mah-lah-mah) means to take care of, to serve and to honor, or to give support to preserve, in the Hawaiian language. You care a lot about your business. It makes sense that those you work with should care too. We take your business seriously, caring and tending to it like a gardener, helping it grow to produce a good harvest. Our business model means that we our success is intimately connected to the success of our clients. We graft this perspective into everything we do and work hard to serve you. This concept is so important to us that we made it our name. 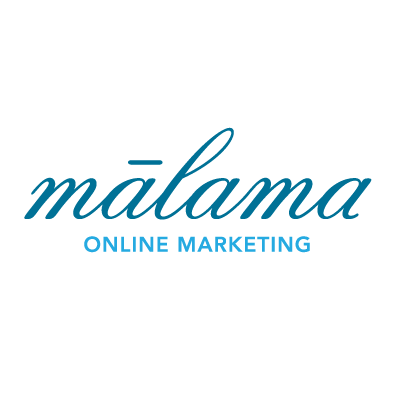 Malama Online Marketing helps businesses with the Web. From website design and development to email marketing, search engine optimization, and social media, we help businesses grow and improve their presence online to earn more business from the web. Every business is different. So, we look at each business’s situation, needs, and plans. From there, we build a plan, matching up your needs with the best online tools and strategies to reach your goals. Then, we implement the plan, growing your online presence and earning you new inbound business. We grow your inbound marketing by using the right combination of online tools for your business. We know that you have very real business problems, or opportunities (if you’re more optimistically-minded). And we know that you’ve been working to solve them, but you just want better results. You know that the Internet is potentially huge for your business, which is why you’re there in the first place. You’ve got a website and maybe even a Facebook or Twitter page. But you’re not seeing the sales you’d hoped for from these sources. And, it’s taken a fair amount of time, effort, and money to get what you do have in place. That’s where we come in. We pledge to help cultivate your ideas and them put them into action online, giving you time to focus on building your business and doing what you love, while your website starts bringing in traffic and sales. You want your website to do better, you want more from it. You want to spend your time on what you do best. You want to spend your time growing your business. You want someone else to deal with all the technical stuff to bring your idea to life. You want to hire a specialist to do it better and faster. You want to say “pass” on the amount of work you know it will take to have an effective, sales-generating online presence.